Restore energy and release tensions, pains and stress with daily signature massages at The Spa at Al Jasra Boutique Hotel. Take advantage of relaxing golf cart transfer to and from your appointments, marveling at alluring views of Souq Waqif along the way. 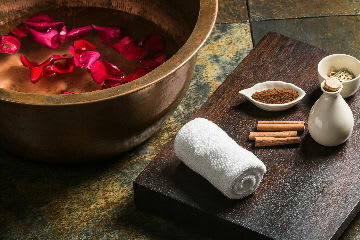 Resign to the careful touch of a skilled masseur in a sanctuary defined by gorgeous Arabian touches. Refreshing buffet breakfast is included to inspire rejuvenation even further. Restore energy and release tensions, pains and stress with daily signature massages at The Spa at Al Jasra Boutique Hotel. Cancellations must be made by 4:00 pm the day before arrival to avoid a penalty charge of the first night.